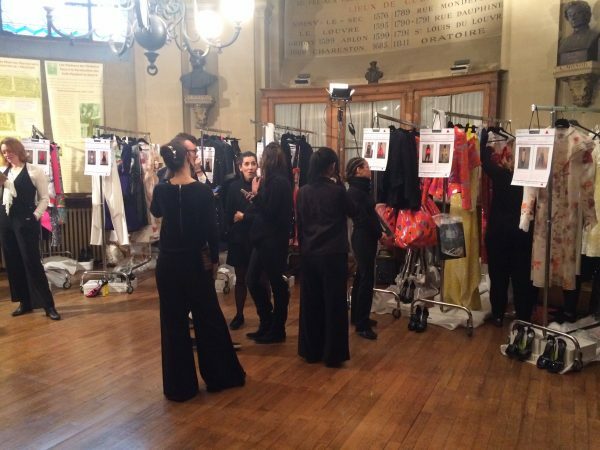 The FashionLab team sneaked behind the scenes of the Julien Fournié Haute Couture fashion show. The Spring Summer 2017 collection, entitled “First Kinetic” was shown on the Oratoire du Louvre Catwalk yesterday in Paris, at 3pm French time. 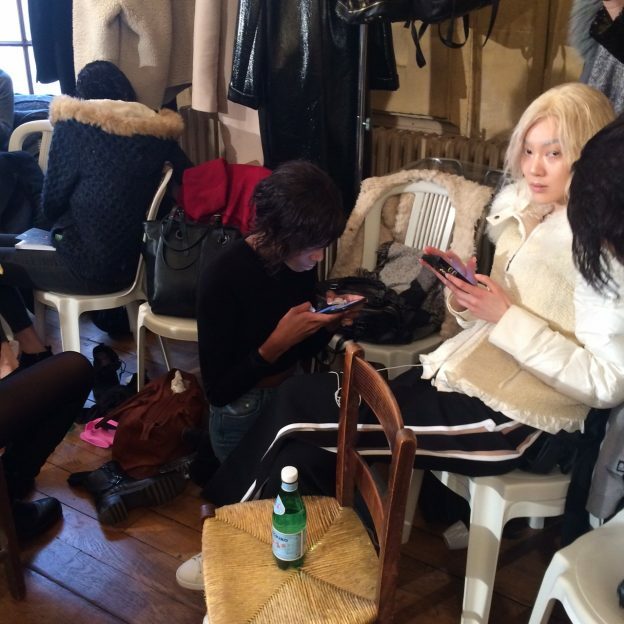 While her nail polish dries, a model is having lunch while waiting to be dressed for the show. 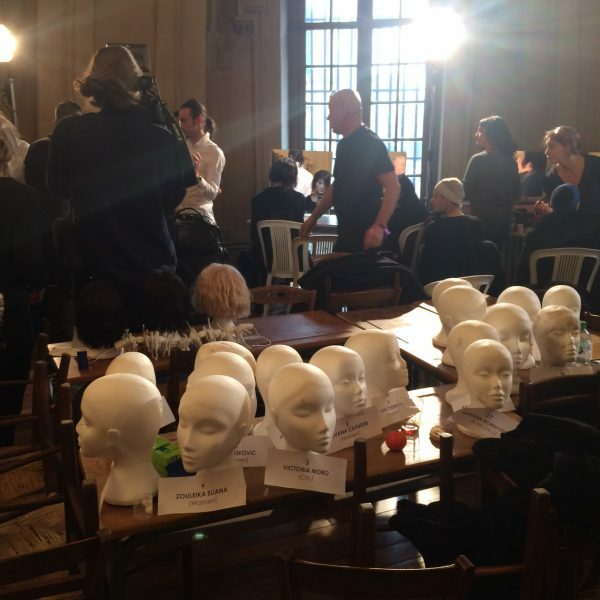 Waiting in the “beauty room”: the models wait patienty their turn for makeup and hair before being dressed for their passage on the catwalk. Music, reading, nibbling, chatting or dreaming while waiting for makeup. TV crews follow Julien Fournié supervising the backstages as they are shooting a report about the designer. 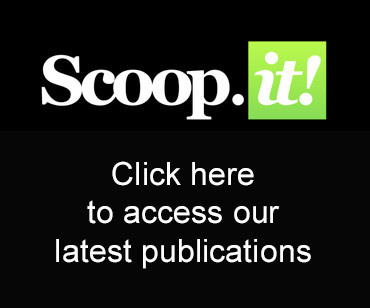 Here, the hairdressers team, under the direction of Stephen Low(Salon NEVILLE @ELSL management), are busy setting down the short wigs that will be the “capillary signature” of the Fournié’s Spring Summer show. The dressmakers review of the different looks and the models order of passage waiting for the girls to be ready with make up and hair done. 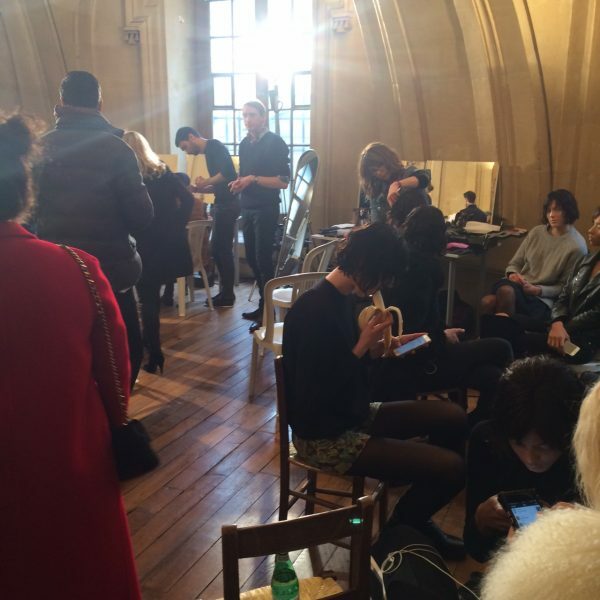 Share the post "Glance in the Backstages : Exclusive insider’s pictures for the Julien Fournié Haute Couture Fashion Show “First Kinetic”"